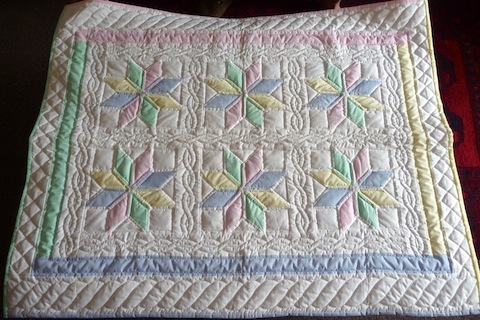 This versatile quilt pattern is also called an 8 Pointed Star and Starflower pattern. 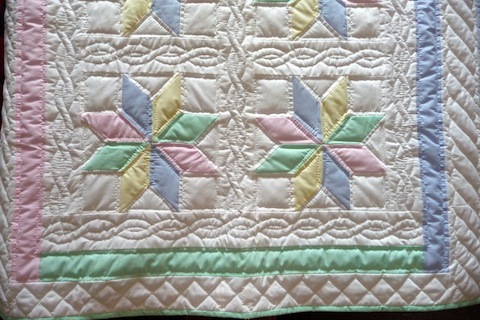 Our Amish baby blanket is filled with complicated hand quilting. 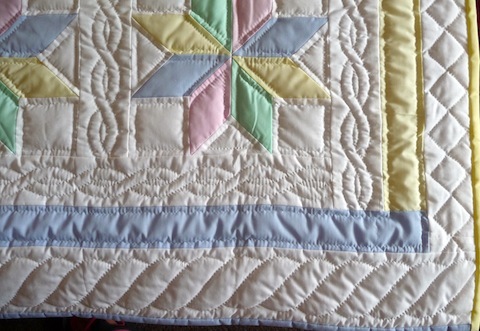 Quilted patterns include braids, ropes, twists and crosshatch. The quilt is comprised of six panels. Each panel contains an 8 pointed star. Multicolored unisex colors include solid fabrics in blue, pink, yellow and green. Quilt is hand bound. Background is bright white. 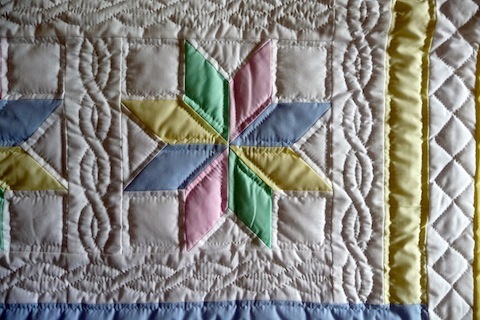 Each side of this quilt is hand bound in a different color. A great keepsake gift!